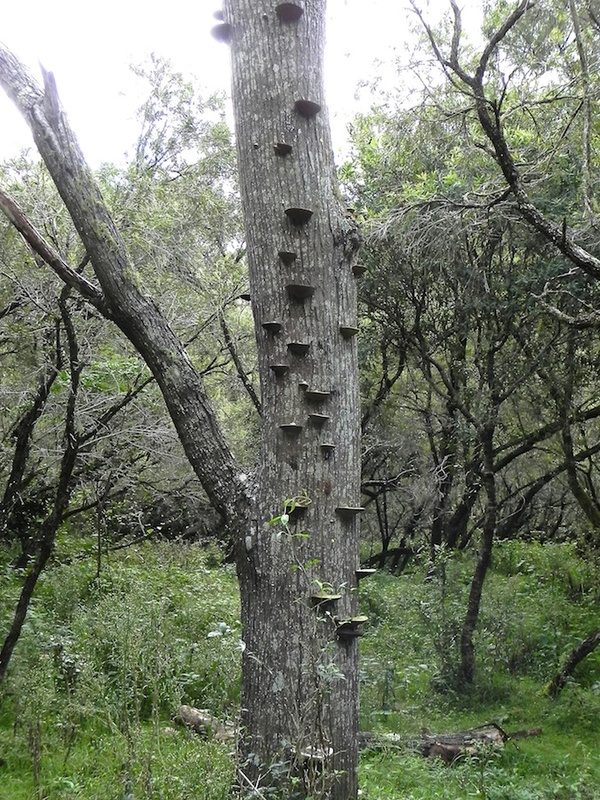 A stairway constructed from bracket fungus leads upwards. Oh wow, great find & a good image. I wonder what type of bracket fungus they are & if they can be used as tinder?